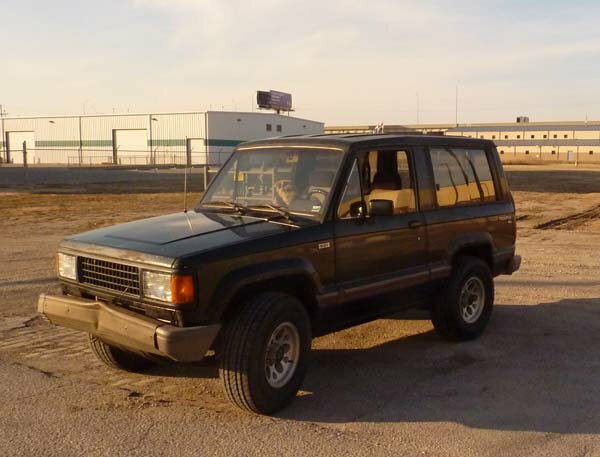 I'm selling a 1989 Isuzu Trooper RS that is in good running condition. $1500 OBO. 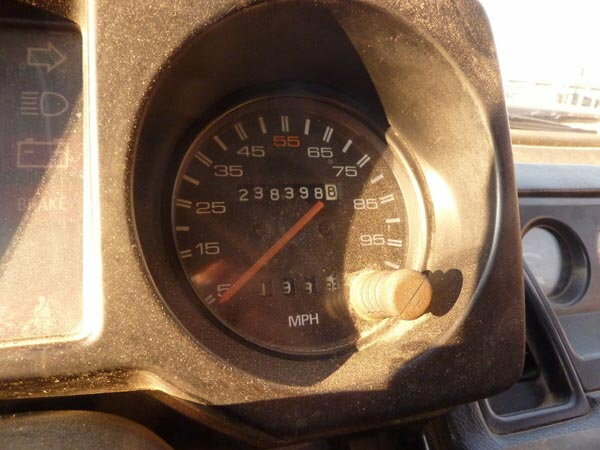 238,000 miles. I bought the vehicle a year ago, and have put less than a 1,000 miles on it since. The truth is that I needed the car as an A to B, but since I soon moved across the street from my workplace, I rarely needed to drive at all. Since the car does need some mechanical fixes, and I have limited resources to keep it on the road, I am sadly selling this vehicle. 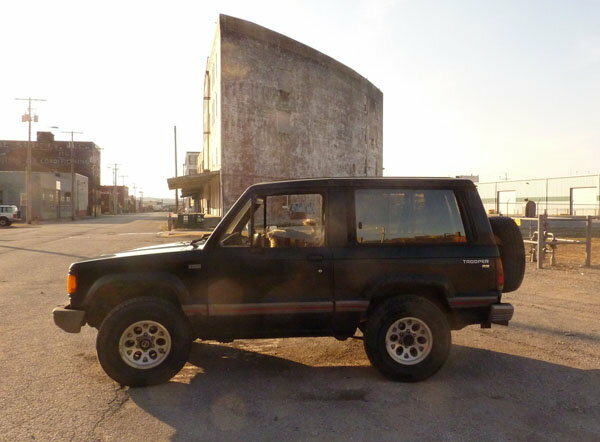 I do love this truck, but I figured there is nowehere better to post it than here, where there are quite a few people who know this vehicle and might give it the TLC it needs. I will be posting images this weekend. The vehicle does have a few needs, that are mostly cosmetic. On the mechanical side: Needs master cylinder replaced in the brakes. I have the part, just haven't gotten around to replacing it. Radiator leaks. I have been adding fluid once a week, or right before taking it out. Vehicle does have rust on body. 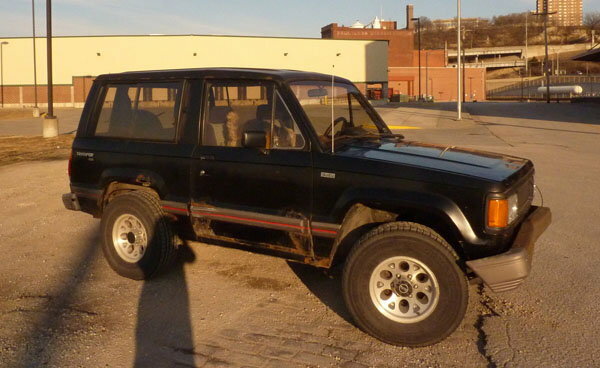 Not a rust bucket, but especially around wheels, there are rust issues. Vehicle has a dented front bumper. That was the way I bought it. Glove box lock/handle needs to be reattached. Some bum broke it looking for change in the car, when I left the doors unlocked. Driver's side door has a sticky lock. Very small ding in front windshield (probably from a pebble) in bottom left corner (does not obstruct view, has probably been there for years). Probably needs a tune up. Transmission shifts well. It can get up to 70 no problem. Sometimes getting the stick into second can be a little fussy, but it runs well on all gears. 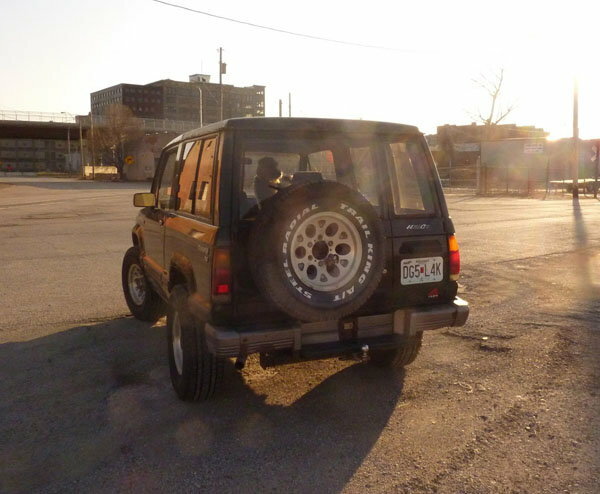 4 relatively new Firestone 31's 10.5 15's. Relatively new battery. Starts up no problem! 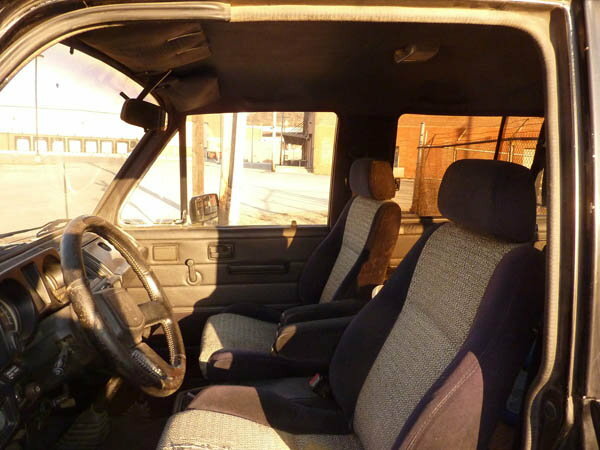 In the right hands, the truck can be brought back from the ashes to be the rad head turner it deserves to be. As is, this trooper will get you around town. Time2's expert watch buyers hit The Ivy last night (all in the name of research of course) to view MontBlanc's fabulous vintage Minerva Chronograph which is being unveiled to the UK market. Time2's Louis Kendall (pictured) says: "From Le Locle to the Ivy club on St Martins lane swiss eta tag heuer fake watch Time2 were taken on a journey of how 1920's styles have evolved into today's contemporary timepieces. "Whilst we sipped champagne MontBlanc's UK brand manager showcased The Minerva Chronograph (pictured). This vintage timepiece has an impressive spiral tachymetre scale an extended timing range of 3 minutes and a peripheral telemetre scale that was first introduced over 90 years ago. Available in 18k Red or White gold this timepiece is limited to 58 watches worldwide per style...so perfect if you're looking for that unique item." To order yours or for further information on the MontBlanc collection visit the Wonder Room at Selfridges replica jaeger lecoultre reverso grande taille watch London where a Sales Executive will be able to assist you further.